I just downloaded the Platformer sample game from http://www.stencyl.com/developers/samples/ . I tried to publish it by going to Publish > Web > HTML5 (Experimental). I got the following errors: one about needing to install a JDK, and one telling me to check my logs. The "more info" link went to https://www.java.com/en/download/mac_download.jsp , which I had already been to before and upgraded Java to the current version, which I had to do to open Stencyl in the first place. 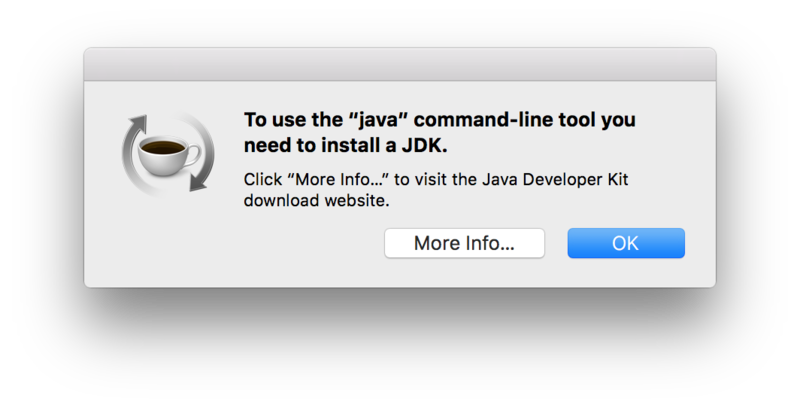 This download page was downloading the version of Java that I had already installed.